Since the Action Cams have been introduced, the world of stunt and extreme sports is no longer the same. Being able to resume your activities independently without worrying too much is one of the biggest advantages of Action Cams. If we also add a good video quality and an effective stabilization we can be sure of having recorded in an impeccable way. The task of the best 4K Action Cams: to guarantee the user a consistent and satisfying experience, usually at a higher price than the less performing models. Not only that, because with products of this caliber you are able to resume even in water and altitude without having to compromise. How to choose a 4K Action Cam? When a user searches for an Action Camera suitable for his needs, he is easily influenced by the most famous advertising or brands. Spending a lot is not always synonymous with spending well. In fact, there are some very high-performance models on the market at more than accessible prices. In particular, what makes the difference between a good 4K Action Camera and one of questionable quality are many small features that need to be analyzed one by one. Before proceeding, you can ask yourself a few questions: how much do I want to spend? What features cannot do without? For many, it may seem trivial, but this little reflection could lead you to change completely perspective as if you need to record static shots you can very well rely on an SLR or a compact 4K camera. These will guarantee you a similar result, if not better, without loss in quality. Wide angle shot: being able to shoot a wider scene than traditional ones make the difference if you record in open environments. In addition to giving a special effect on our shots, a wide angle is always convenient to display as many objects as possible in the frame. 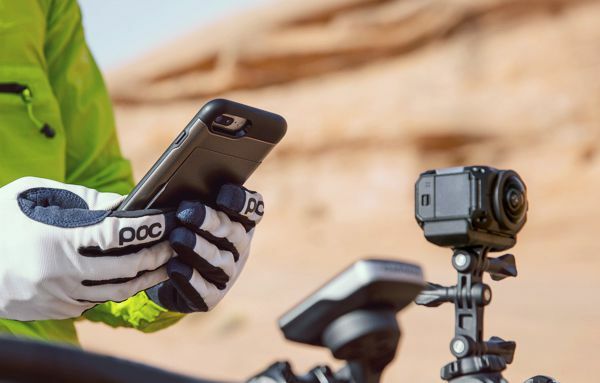 Dimensions and weight: being a device to be connected to your helmet or handlebars, the size and weight of an Action Cams really make the difference. The trick is to find the right compromise: the heavier it becomes, the less it will be transportable. The same is true for weight. Resistance to water, dust and falls: it will certainly happen, during your business, to jeopardize the integrity of your Action Cam. A good defense against possible falls or certified impermeability can often make the difference, allowing you to record in a less reassuring environment. Display, WiFi and accessories: a very bright display that allows us to see the frame even in direct sunlight, WiFi connectivity that allows you to use apps for Action Cam and various accessories will only improve your relationship with the Action Cams. Let’s now move on to the 4K Action Cams that we recommend among all those on the market and those that deserve your attention. As mentioned earlier, the budget can have a great influence on the choice of the product: an Action Cam that records in Ultra HD often does not have affordable prices, as it must be used as a reference with respect to the cheaper models. 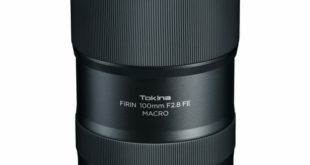 Why not start with one of the best models currently on the market? GoPro Hero7 Black is the latest addition to Action Cams and brings with it a surge of improvement over previous models, including HyperSmooth stabilization and a brighter touchscreen. Let’s start by saying that the 12MP sensor of this Action Cam allows recording in 4K at 60 fps or in 1080p at 240 fps. The design is very robust and guarantees impermeability up to 10m. We also find the possibility to record 8x slow-motion video, time-lapse and live broadcast on our favorite social networks. 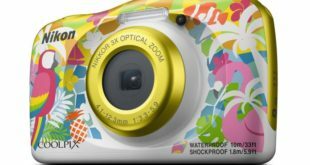 This Action Cam focuses on connectivity, in fact, it is equipped with WiFi and GPS and can be managed using voice controls. Through the application, you will be able to instantly share your live shots or as stories. If this were not enough, the photos can be further enriched with details and colors through an HDR algorithm that provides the local mapping tones and the noise reduction. Definitely more niche, this Sony RX0 takes to the extreme what is the concept of Action Cam. 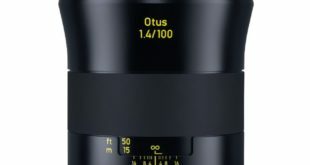 We find on board a Sony CMOS Exmor RS 15.3MP sensor combined with a 24mm Zeiss Tessar T optic. Just like in other Sony products of a certain level, it is equipped with the famous BIONZ-X image processor and allows recording video in super slow motion up to 960 fps. What draws the most attention is the design: the aggressive and at the same time elegant lines conceal the impermeability up to 10m and enclose a 1″ sensor, much bigger than those on the competitors (about 4 times bigger). The 1.5-inch LCD screen has a resolution of 230k points and has good brightness and viewing angles. The Sony DSCRX0 has a sensitivity range of ISO 125 – 12,800 which can be compared to that of a real camera. Videos can also be recorded in 4K, but only if an external recorder connected to the HDMI port is used. As for connectivity, there is both WiFi and Bluetooth for remote management through the Sony Play Memories Mobile app. You can expand the memory via MicroSD for Action Cam. As already stated, you do not need a lot of money to bring home a very respectable 4K Action Cam. Just like the GoPro Hero7 Black you can record in 4K at 60 fps, it is equipped with electronic stabilization and can share live content. For a respectable post-production, the Yi 4K+ can shoot in RAW ensuring you more effective changes. An accessory that will appeal to many is the presence of a USB-C port, which allows you to transfer, transmit and share data. The manufacturer claims to be able to guarantee a transfer rate of 40MB/s, twice that of the GoPro Hero5. Inside the package, we also find the convenient waterproof case for diving in the water. For those looking for an unconventional design, but do not want to give up the 4K, Sony has decided to introduce this Action Cam that fits perfectly in hand. The Sony FDR-X1000VR is equipped with a CMOS Exmor R sensor combined with an ultra-wide angle ZEISS Tessar lens at 170°. The BIONZ-X image processor and SteadyShot stabilization remain. In addition to controlling via WiFi, you can control the action cams through the appropriate Live View remote control with integrated display and key for recording. The design allows IPX4 class splash resistance and can be up to 10m deep through the enclosed enclosure provided. We continue the analysis of the best 4K Action Cams with a completely unusual product. The Nikon KeyMission 360, as is presumably from the name, allows you to take photos and record videos at 360 degrees. It has two 21.1MP sensors with NIKKOR ultra-wide-angle lenses for a complete field of view. 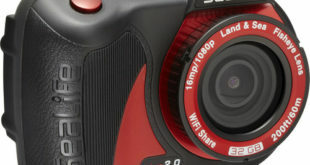 The size of the camera is also compact and appropriate materials guarantee an impermeability up to 30m, the impact resistance of up to 2m and the resistance to frost down to -10 ° C.
There is both WiFi and Bluetooth connectivity, which will allow you to communicate the Action Camera with the SnapBridge app. We close our selection back to normal. This Action Cam produced by Garmin allows you to record videos in 4K at 30 fps stabilized with 3 axes, to avoid blurred or unclear scenes. The integrated sensors and the GPS acquire the so-called G-Metrix data that indicate the distance, altitude, and speed of our route. The touchscreen LCD display allows you to be visible even under direct sunlight, so as to always keep an eye on what is framed. As already seen on other Action Cams in its range, it allows to be managed by voice control and to broadcast live what is being recorded. There is also the app for Action Cam, which proves very useful in editing and viewing the shots. We also find the VIRB Edit desktop software that allows you to create videos, add music, and cut video clips. Let’s focus on the top 10 best-selling 4K action cameras on Amazon. The products are constantly updated to give you a clearer idea of which ones are purchased most frequently. 【Ultra HD 4K 20MP Action Camera】- This action camera adopts the newest upgraded chip, 7 layers of optical glass lens which bring ultra HD 4K videos and 20MP photos. Featuring rich video resolution: 4K/30FPS（others only 25FPS）, 2.7K/30FPS, 1080P/60FPS, 720P/120FPS and so on, the sport cam will definitely offer you all vivid and incredible footage. 【EIS Stabilization and 40M Waterproof】- Smart anti-shake program is embedded in the chip. Therefore video fluency and stability are greatly improved when you do some extreme sports, such as parachute jumping, skiing, playing ball, etc. Made of upgraded durable material, the case improves the waterproof level from 30M to 40M. Just enjoy scenery in deeper underwater world. 【Built-in and External Microphone】- Comes with external microphone which helps a lot in places where there is much noise or it is inconvenient to collect sound, such as skiing, cycling and so on. 170° wide angle enables the camera to record more while shooting scenery or important moments. 【Remote Control plus Wi-Fi】- You are able to control your camera remotely from 10 meters away with the remote control. Red button for photo taking and gray button for video recording. You do not need to hold the camera in your hands any longer. After downloading the App LIVE DV on your smart phone (iOS/Android) or tablet, you can control the camera on your devices, including changing settings, taking pictures, recording videos and downloading files. 【Various Functions to Meet your needs】- This camera almost covers all the functions that you need or you can imagine. For example, loop recording, time lapse recording, slow motion, self-timer, burst photo, screen saver, upside down, white balance and so on. We also have professional after sales team to serve you. Any doubt or questions, please do not hesitate to contact support@cooau.net . ★ HD RESOLUTION - 4K Action Camera Beautiful Video Resolution: 4K/25fps 2.7K/30fps 1080p/60fps 720p/120fps. Our Camera Shoots Pictures at 12MP Maximum. Versatile Shooting Modes Include Video Mode, Photo Mode, Burst Photo, Time Lapse, and Loop Recording Mode. Our H9S 4K Camcorder Enables Anybody to Self-Capture Immersive and Engaging Footage of Them Enjoying Their Favorite Activities. ★ BUILT IN WIFI & HDMI CAPABILITY - Enjoy the Ability to Edit and Share Your Action Cameras Footage As Soon As It's Recorded, With the App EZ iCam. WiFi Signal Ranges Up To 33 feet. HDMI Output Is Supported, Which Means you can Preview Videos or See Real-Time Display on the TV with a HDMI Cable. ★ COMPLETELY WATERPROOF - Our Waterproof Housing Will Hold Up All the Way Until You're 100 Feet Below Water. The Waterproof Case of our Action Camera is Designed to Withstand Extreme Environments and Conditions. This Helmet Camera is Wearable and Mountable: Enables Immersive Capture During Your Favorite Activities Including Surfing, Diving, Snorkeling, Biking, and Driving. ★ 2 INCH LCD Display - High Quality Display for Video or Photo Playback. Get the Full Spectrum of the Features With Easy Setting Adjustments. You Can Do It All on Your 4K Waterproof Action Camera. Use the 2.4G Bluetooth Wrist Remote to Shift the Functions Between Video, Photo, Burst Photo, and Time Lapse Instantly. Long-lasting Batteries: 2 hours of video shooting with 2 batteries. See Photo For Full Accessory List. ★ LIFETIME WARRANTY - All of Auto Techs Products are Made of The Highest Quality and Made To Last. That's Why We Stand Fully Behind our Lifetime Warranty. Customer Satisfaction is Our Number One Goal Here at Auto Tech. ✔【 Adjustable Field of View + Dual 1350 mAh Batteries 】X30 waterproof camera comes with adjustable field of view(FOV), Wide/Middle/Narrow available. You can choose a field of view according to your own need. Large capacity 1350 mAh batteries are included for longer recording. We guarantee 45 days money back and 12-month warranty and professional after-sale service within 24 hours. We close our guide with some reflections. Does it really make sense to buy a 4K Action Cam? Unfortunately, the answer is variable. If you want to make that leap in quality that can give a certain mold to your shots, then you will not regret the purchase. On the other hand, if you consider yourself at amateur levels, a less performing Action Cam will not make the absence of 4K weigh too much. Before leaving, we refer to various guides designed especially for you.